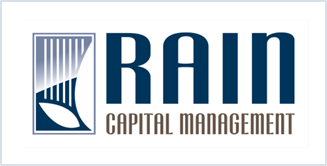 Rain Capital Management | Liquidity Trap? A new interest rate cycle is upon us. The Fed has said – and the market is largely in agreement – that within a year short-term interest rates are likely to rise. We have already spent considerable effort purging interest rate risk from portfolios. 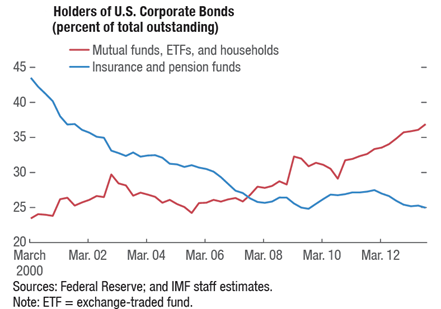 However, even low duration funds have some exposure to shorter-term interest rates. In an environment where interest rate exposure will likely be penalized even in the most conservative areas of the bond market, we are inclined to swap out that exposure for the money-certain safety and liquidity of short-term Treasuries. With that in mind, we have sold low duration funds in favor of very short-term and ultra-liquid Treasury bills. We did this for two reasons: to further reduce interest rate exposure to the shorter end of the yield curve and to ensure that those funds remain liquid in the face of potential bond fund redemptions. We raise liquidity as a secondary concern because of an oddity of the fixed income market that gives us serious pause now: mutual fund and ETF appetite for illiquid credit market instruments. In the search for yield, funds that offer daily liquidity have been gorging on esoteric and illiquid credit instruments like leveraged loans, high yield bonds and other investments that used to be considered the domain of investors with much longer-term horizons like pension funds, insurance companies and collateralized loan obligations (CLOs). (See figures below.) When illiquid instruments end up in liquid vehicles like an ETF or mutual fund, a liquidity mismatch arises that sets the stage for fire sales should investors redeem quickly. 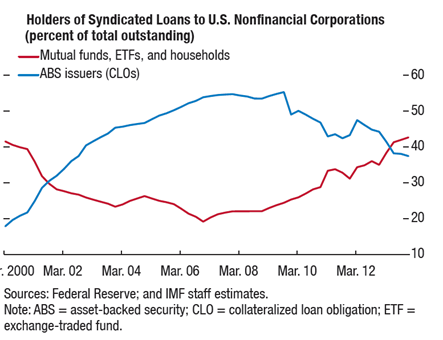 We have followed this liquidity issue closely since first observing some of the data buried in an IMF report in April. More recently, however, we accessed a Federal Reserve Bank staff report that formally evaluates the impact of mutual fund redemption fees or gates (suspended liquidity) on broad financial stability. We’ve learned that the staff report was accompanied by senior-level discussions at the Fed about whether regulators should preemptively impose exit fees or gates on bond mutual funds and ETFs to discourage redemptions and prevent fire sales of bond assets. Under this scenario, bond mutual funds and ETFs could quickly become roach motels, undermining the very purpose of these investments in portfolios. The traditional asset allocator who uses bond funds for diversification because of their lower correlation to equity markets is likely to wake up to this scenario surprised that liquidity risk – not interest rates or negative correlation – would the primary driver of returns in this type of vehicle. While we are not concerned such an act is imminent, this information was enough to compel us toward a more certain source of liquidity and stability in this part of portfolios. By exchanging low duration bond mutual funds in favor of directly owning short-term Treasuries, we eliminated the exposure to the risk that regulators impose what amounts to suspended convertibility in a part of portfolios that is intend to be dry powder, usable at a moment’s notice. When investors can’t get their money out of Argentina for a time they might shrug their shoulders; should they be unable to redeem easily from a high quality domestic bond fund, they very may well shudder. While we may be faulted for being overly cautious on this issue, the cost of being so is immeasurably small in terms of investment opportunity cost whereas the risk to liquidity so potentially large. Furthermore, one can never underestimate the investment value of dry powder (and not the kind in a roach trap) when liquidity dries up.